I would think a Cirdan NPC at the Gray Havens would be cool. Its probably a good thing to consider we should only use figures in locations that we have. As we dont have the Gray Havens yet, this wouldnt make sense haha. Readme.md updated! I will most likely still map Cirdan's AI, just not set a location where it can be accessed. Apologies, for some reason I had thought we had it built already. Also thought of some more, hopefully these are in places built. How do you intend on implementing these NPCS? Do you plan on having actual models like the NPC plugin of old or do you plan on using Testificates and texturing them? Or simply having invisible NPCs? 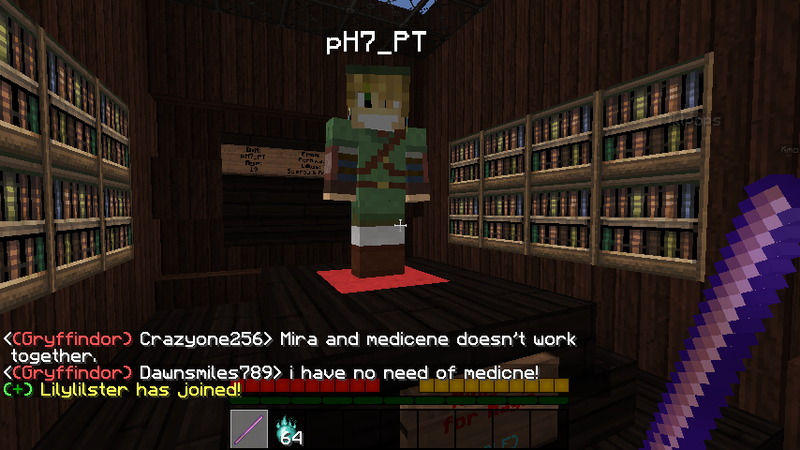 Unfortunately the npc will be invisible, in the final build though you will be notified when you enter their house. I think these quests could be a cool way to tour new players around the server when there are no rangers about. A player could choose a questline that would take them around some area (cities of Arnor, Elven settlements, Shire, Rohan...) and thus be encouraged to visit some of the less well known areas of the server for parts of it. The questline could have a simple story that involves some of the lore of the area, continuing the tour theme. I realise this would be quite a bit of work but I think it could work out pretty well. @Brazen_Helm, this will most likely be used at a later date once q approves. With @dags_ pvp plugin, there are "statues" of people that hold certain records, such as the Longest Shot, Highest KD Ratio, etc, that look like that person is standing there. Would it be possible to do something similar to that for the NPCs? They probably wouldn't have to walk around anyway. Even if it would be necessary to use a minecraft account for each different NPC, the cost wouldn't be too overwhelming, since we would never have a huge number of NPCs. Since we no longer have the kits for weapons, it would be cool if the quests gave you some of those items as rewards. Like if you did a quest for a Rohan blacksmith, he could give you a chain chestplate. Or if you did a quest for Elrond, he would give you a golden sword. I was thinking about doing this at some point, I was unaware it was on the pvp server. I will begin work on this when I have more time to code. If enough people want RP this would be very easily implemented. It's just wether the community wants it implemented. Q didn't love the idea but also didn't hate it so loot could be a possibility in the future. Can I just say that people can warp to plotworld and give themselves items, then come back? That pretty much makes the loot system obsolete, doesn't it? Good point - I like jet's idea though so could this be fixed? Maybe making the loot special by enchanting it or giving it a special name? Yeah... Good idea. Maybe one of the quest prizes for, like, the hardest quest or the final quest would be a gold ingot, since the RPs make gold ingots look like the Ring. Also, would each NPC have more than one quest?